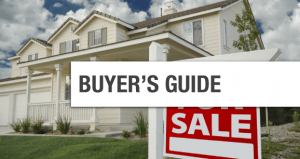 If you’re interested in buying a newly built home, you’ll want to use this new construction homes buyers guide to help you through the process. If you’re looking to buy a new home, newly built or not it’s likely you’ve come across newly built homes for sale. New construction builders come in all sizes, large companies, small companies, local builders, national builders and just about everything in between. If you’re considering purchasing a newly built home you’ll want to be aware of some items such as the ones below as you go through the purchase process. Buying a resale or pre-owned home is easy, you hire a Realtor, they search the MLS, find your home and voila! New construction is a little different, not all homes are in the MLS. Many new construction builders don’t list their properties in the MLS and rely solely on the model homes to showcase their properties. Despite the fact that the properties aren’t in the MLS, we’ve written an article on some of the local Bakersfield home builders to assist you with your search. Another option to find the locations of new construction homes would be to hire a Realtor and have them drive-around and preview homes based on your buying criteria. New Construction Homes or Inventory Homes, what the difference? When you’re looking for a newly built home and you find the builder that appeals most to your liking you’ll probably be offered to purchase either new construction or an inventory home if they have any inventory homes available. New construction would be a brand new home, newly built with your upgrades, just the way you made it. An inventory home is one that may be the home that you’d like to buy interior and exterior wise but just not with the exact upgrades or personalized choices you would’ve made. Just to clarify, both homes are brand new but one you have to wait for while it’s being built and the inventory home is something that’s already been built or is in the final construction phase and is ready for its new owner. The drawback of an inventory home is that it might not have the exact color choices and some upgrades you would’ve selected but these new construction homes often come at steep discounts from their newly built counterparts. When a new community is launched, the builder goes through releases. Releases are a certain amount of homes at a time that a builder releases to the public for purchase. When a release is released it’s usually accompanied with a number, i.e first release, second release and so on and depending on the size of the community that release could be in the double digits. Now that you know what a release is let’s talk about the importance of being in a first release. When the first release is released in a new construction homes development it’s usually priced pretty well, after all the builder hasn’t been able to gauge sales because they don’t have any yet. If a home buyer purchased their home during first release and still has the home by the time the community has sold out they will likely have immediate equity. Why? As the new home builder releases properties they increase in price; i.e. let’s say first release is $100k, by the time the third release is out, the builder may have increased their prices $20k due to demand and that’s how your equity is built on a new construction early release home. Check out our article on Real Estate Return on Investment for more information. Discounts are often in the form of upgrades! Many times builders have their home prices discounted already to be competitive and there isn’t any room for additional discount. If this is the case when you’re negotiating ask about the upgrade packages. This is the place that builders like to recoup their profits. Some home buyers will opt for bottom-line basic items knowing they’ll remove them and upgrade later, this is an option and one that should especially be considered on an inventory property. One point to consider about price reductions on new construction homes, the builder wants and needs the price to be as high as possible for public sales records. For instance if you purchase a home for $100k and ask for $10k off then the sales price is $90k but if you were to buy the same house for $100k and get $10k in free upgrades, the sale price is still $100k, make sense? For more information on new construction homes, please feel free to contact us. We’d appreciate the opportunity to assist you.